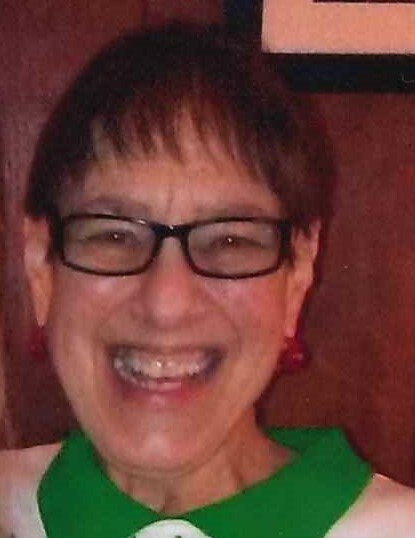 Cindy L. Stewart Neizmik, 66, of Youngsville, PA, passed away on Wednesday, January 30, 2019, at the John and Orpha Blair Hospice Residence in Warren, PA.
Born on August 14, 1952 in Warren, PA, she was the daughter of the late James and Fran Pascuzzi Stewart. Cindy was a 1970 graduate of Warren Area High School. She had been employed as a registered nurse with Warren General Hospital and later retired from Warren State Hospital. She enjoyed working out at the YMCA, going to the Casino and horse races, playing Bingo and cards, and especially enjoyed taking her “posse” out to dinner. Cindy is survived by her brother – Larry Stewart of Erie, PA; her many friends and her beloved cats! In addition to her parents, she was preceded in death by her husband, Michael Q. Neizmik, whom she married on August 22, 1970, and who died on March 21, 2018. Cindy, you will be missed by all of us! Bouncing will never be the same without you, Cindy. You smiled, and welcomed me, and always made room for my goof-ups. What a blessing to have known you. We both knew Cindy originally from WSH. She was a kind and caring soul. She was unfailingly cheerful and a little irreverent-a joy to be around. My wife and I were new to the area in 1990 and Cindy always made us feel welcome at work and later, at the Y. We will miss her. We knew Cindy from the Y and were lunch buddies. Watching her enthusiasm and positive energy in the pool and on the ball was motivating. She will be missed. I knew Cindy from the Y. She was a very out going person and will be missed. My sincere sympathy. I knew Cindy from the Y locker room. She was always there, and it’s hard to realize we won’t be seeing her in the future. We will all miss her cheerful personality. Cindy was my supervisor at Warren State Hospital for at least five years. She was always up beat, cheerful and ready to work. She was a nice person and she will be missed. So sorry for your loss, friends and family. Prayers for you all.